Disclosure: I received free samples to facilitate this review. However, all thoughts are my own. I received a couple of Lil Bums one size cloth diapers for review. Aside from the really cute colors and patterns they have on their cloth diaper, I like the fact that they use organically grown bamboo cotton inserts, which makes it extremely comfortable fit and prevents rashes. The snaps are easy to use when changing sizes. You don't have to keep buying as the baby continues to grow. I'm also delighted that they don't leak. All Lil Bums diapers comes with 2 organically grown bamboo inserts. It has several plastic snaps for easy adjustment. Aiman is only 4 months old and it fits him very well already. You can get these cloth diapers at their website here. 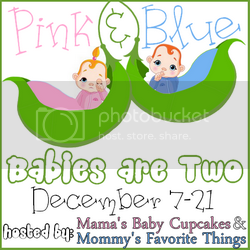 Or you can also enter the giveaway at my blog for a chance to win 6 pack cloth diaper starter pic Valued at $99.99. 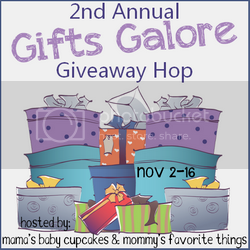 To enter just use the Rafflecopter widget below. This giveaway is open to US Residents only. If you like cloth diaper click the banner below! I like that the Lil Bums diapers are one size. I like cloth diapering because it saves money and is better for baby and the environment. Also, cloth diapers are so cute! I like cloth diapering because I can use the diapers for the next kiddo!! :) LOVE AIO Lil Bums diapers, especially the bamboo liners! I like cloth diapering because I can get so many cute prints and colors. For summer I'm loving putting a little dress with a coordinating diaper on my daughter! 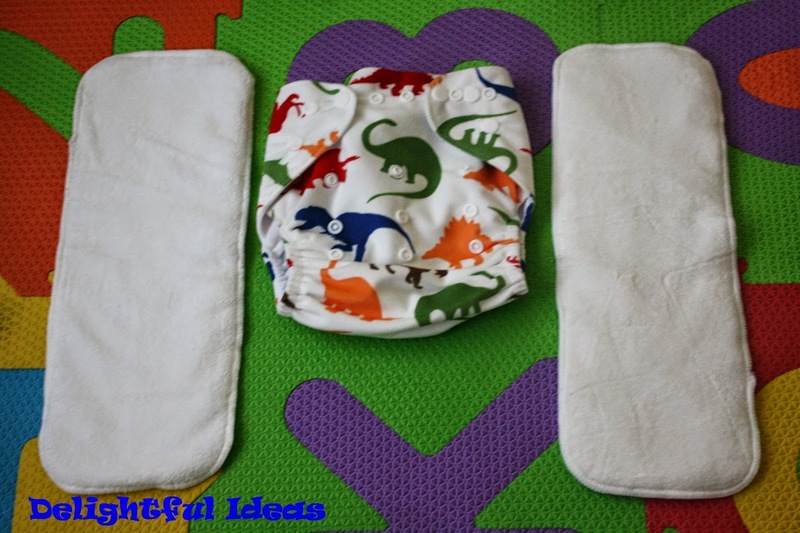 I love using cloth diapers because they're so much better for the environment, and because we don't have the blowouts that we had with disposables! We save a lot of money, too. I like the idea of cloth for my newborns bum, money and the environment... I'm gonna give it my all! this will actually be my first time using them, but I am excited about the money its going to save our family and how much healthier it is for my little one. This is so adorable! My son would have loved the dinosaur pattern! What a cute dinosaur print! I like using cloth diapers because they save money and are better for the environment than disposables. I love that I never have to run to the store for more diapers! I hope this is the blog post you wanted us to comment on (the link isn't working up there). I use cloth because cloth is cheaper, cuter, and greener. I never tried cloth diapers with my little ones, but I love all the cute prints like this! I love using cloth to help save the environment and money! Omigosh, your baby is so cute! Love the dino pattern. I am a fan of cloth diapering because I can make sure my baby is getting no toxins and is safer. I also like the Bums because they have a one size fits all diaper which eliminates me worrying about how much my baby is growing and what size diaper I need. We have never used cloth diapers, but I have been checking all of them out, and I think we need to try them. I love the dinosaur cover- very cute. Its so nice that are so many choices today for cloth diapers. I love how much money we have already saved in the first 6 weeks cloth diapering. Both my husband and I are hooked, it's so much easier than I expected. Modern cloth diapering is not what I thought it would be at all. Your lil one is so cute... loving the dinosaur print. I love how much money we save and how much healthier they are for my baby! I love saving $$!! I also like how we are not sending more diapers to landfills. I love how cloth is good for baby and you don't waste all that money on something you throw away! I like cloth diapers because they are environmentally friendly and adorable! I love that I am saving money, reducing trash, and they are just so cute! I love that I never "run out" of diapers and I don't have to have a gross trash can full of icky disposables. I love that I never have to scrounge up the money to buy diapers. My favorite thing about cloth diapers is the fact I never have to run to the store to buy more. I always have them on hand since they are reusable! I love cloth diapering because the diapers are eco friendly and cute. I like how cloth diapers are good for the environment.